DEATH A LA MODE is coming in two weeks! Get ready by grabbing your copy of Death Fricassee–only 99 cents right now! A little Death A La Mode teaser for you . . .
My eyelids fluttered, and I saw Lucas leaning over me, his eyes filled with worry and anguish. It brought me back to his expression that afternoon after Delia, and for a moment, I was afraid I was there again, somehow taken away in time. But no. I was in my own bed, back in Palm Dunes, and Lucas was with me. I let him draw me against him, the skin on his bare chest warm where my cheek rested against it. He stroked my hair and murmured words I couldn’t understand until my breathing had nearly returned to normal. 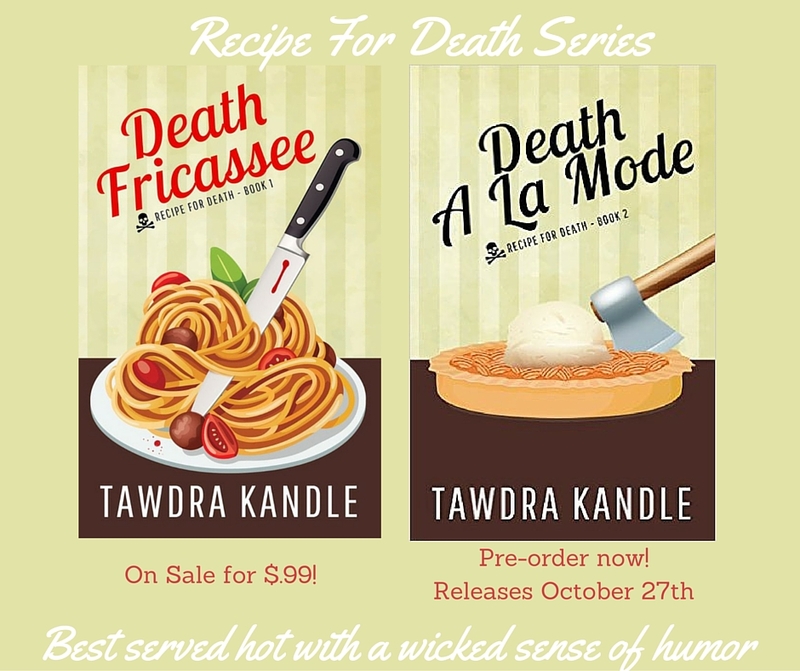 Pre-order your copy of Death A La Mode today! Go visit all the blogs and show your Paranormal Love. The teaser really pulled me in. Well done!